In today’s Flashbacks and Forecasts we’re looking at Lenovorola, I mean, Motonovo. We’re going to be focusing on Motorola, but it’s impossible to do so without taking stock of its new parent company Lenovo as well. So let’s take a look at the tumultuous year that was for Motorola and see if we can’t make a few predictions for 2016. To give you a little background on how rough a time Moto has been having in recent years, let’s cast our minds all the way back to 2011. At that time, the struggling Motorola Inc. was dissolved into a consumer-facing product team – Motorola Mobility – and an enterprise product division dubbed Motorola Solutions. Just six months after the split, Google acquired Motorola Mobility, cut jobs and streamlined operations and then a few years later sold the still struggling company to Lenovo. The deal was announced in early 2014 and officially concluded in late October 2014. Since then, Lenovo has, you guessed it, cut jobs and streamlined operations even further. At its peak, Motorola employed 3,800 staff globally, with the vast majority of them – around 2,800 – working at its Chicago headquarters. Following the most recent job cuts as part of Lenovo’s consolidation efforts, Motorola lost a further 500 employees while Lenovo as a whole got rid of 10% of its non-manufacturing workforce and 5% of its staff company-wide. Across Lenovo and Motorola, 3,200 jobs vanished into thin air, including a lot from the software side at Motorola. In total, 3,200 jobs vanished into thin air, including a lot from the software side at Motorola, including the team that brought us nifty features like Moto Display, Moto Voice and Moto Assist. That Motorola has still managed to carve out such a recognizable and respected product portfolio against this hot potato backdrop of corporate ownership is a truly remarkable feat. The fact that the Moto E, Moto G and Moto X lines are all very mature, clearly defined and relatively popular product lines is a testament to the “hands-off” approach that both Google and Lenovo took with the company. This allowed the Moto team to maintain a sense of continuity and brand stability regardless of who was underwriting the losses the company was continually making. However, contrary to early expectations, Motorola didn’t prove to be an immediate drain on Lenovo’s short-term profitability, with the company doubling its revenue in its first quarter under new ownership and selling a record ten million units globally – the first time the company had ever achieved such figures. Contrary to early expectations, Motorola didn't prove to be an immediate drain on Lenovo's short-term profitability. This solid performance was, of course, more attributable to the after-effects of Google’s prior ownership than it was a miraculous recovery under Lenovo’s new leadership. But it clearly demonstrated that Motorola showed real promise and Lenovo had made a wise investment. Even without the vast majority of Motorola’s library of patents, Lenovo looked to have secured itself a bargain. As you may recall, Motorola’s patent library was the primary reason Google coughed up $12.5 billion for the company back in 2011. In the Lenovo sale, which saw Moto’s price tag drop by $10 billion, Google held onto all but 2,000 of these patents, with Moto retaining a lifetime licensing arrangement. While this may seem like Google lost out, it still considered the sale a “success”. Now, as you may be aware, Lenovo is the world’s largest personal computer manufacturer and its acquisition of Motorola Mobility instantly made it the world’s number three smartphone maker. While that position has slipped to number five behind Huawei and Xiaomi these days, Lenovo is still one of the only companies that can offer a unified PC, tablet and smartphone experience to its customers. While Lenovo is primarily known as a computer maker, mobile sales have been increasingly contributing to its growth. While Lenovo is primarily known as a computer maker, mobile sales have been increasingly contributing to its growth, especially since the acquisition of Motorola in late 2014. In February 2015, following the closure of the Motorola acquisition, Lenovo chairman and chief executive Yuanqing Yang told analysts that Lenovo expected smartphones to represent 30% of its revenue for the year (up from 25% in 2014). 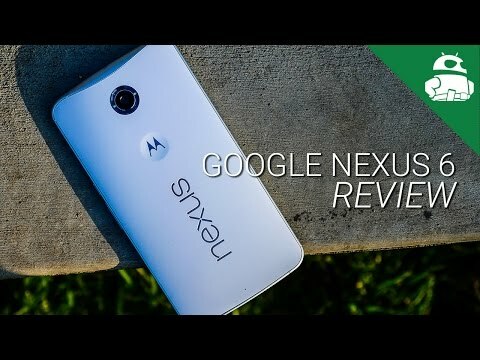 In pursuit of this goal, Motorola returned to the Chinese market on January 26, 2015, with the launch of the second-generation Moto X, followed shortly thereafter by the Moto X Pro (which was a rebranded Nexus 6) and the Moto G LTE. At the time, Lenovo was assuring us that Motorola would return to profitability within four-six quarters. But Motorola’s solid start to life at Lenovo wasn’t to last for long. In the first fiscal quarter of 2015, (April-June), Lenovo posted just three percent revenue growth year-over-year, but reported a pre-tax income decrease of 80% and net income down 51% year-on-year. While a lot of this was attributable to a significant decline in the PC and tablet market, familiar readers of this series would know that a slowing smartphone market and increasing competition from China were also responsible for putting the brakes on Motorola’s rise from the ashes. Motorola’s honeymoon period was over and the job-cuts mentioned above were ruthlessly doled out. Motorola Mobility president and COO, Rick Osterloh, survived the chop as part of a larger strategy of management continuity, but Motorola’s days as a “hands-off” wholly owned subsidiary were over. The consolidation was swift, with Lenovo’s mobile division being merged with Motorola in August 2015. Despite losing 20% of its workforce, Motorola once again seemed to get the sweet end of the deal, becoming the “design, engineering and manufacturing engine” for the entire Lenovo Mobile Business Group (MBG), which includes not only Lenovo’s Vibe range, but also its other brands including Zuk and Lemon. In a stroke of good fortune, Moto became the entire pre-release machine for all of Lenovo’s mobile holdings, while Lenovo took over the sales end of the spectrum. Against this backdrop, Motorola released its first devices under Lenovo’s ownership and they were still very much Motorola. The Moto X Play, Moto X Style (also known as the Moto X Pure Edition in the U.S. market) and third-generation Moto G all arrived in July 2015 and the DROID Turbo 2 and second-generation Moto 360 were also received very well. Motorola thankfully maintained its near-stock Android interface and highly recognizable design language. Despite Lenovo taking a more aggressive role in restructuring and consolidating Motorola and Lenovo’s mobile division, Motorola thankfully maintained its near-stock Android interface and highly recognizable design language. Subsequent Vibe offerings from Lenovo likewise maintained their established personality. As Chen Xudong, SVP at Lenovo and MBG president, stated at the time on Weibo, the two companies must “play to their strengths in different markets”. Xudong went on to note that the merger was aimed at achieving profitable growth, not just an increase in market share. This was very welcome news to Moto fans, who perhaps justifiably feared that Motorola unique identity would be consumed by Lenovo’s branding, design and software. Things only got better from there on out, with Lenovo's Mobile Business Group returning to profitability in the very next quarter, right on schedule. With the sticky business of consolidating two distinctly branded mobile divisions safely behind the new Motonovo, 2016 looked ripe for conquest. The company had decisively dealt with a fluctuating PC market, economic downturn and currency fluctuations and still managed to report solid performance in almost all quarters since acquiring not just Motorola but also IBM’s x86 server business, which the company plans to use to “aggressively attack” the enterprise space. But only a few days into 2016 and Motorola was prematurely declared dead. At CES 2016 some Lenovo executives reportedly said that Lenovo was phasing out the Motorola brand. Motorola promptly set the record straight, explaining that while the name Motorola would still appear on packaging and on products like modems and set-top boxes, the marketing of the new MBG product line would focus instead on the “Moto” and “Vibe” brands although the main Lenovo brand would also be foregrounded. What this means is that this year we’ll be seeing the Lenovo Moto X, Lenovo Moto G, Lenovo Moto E and Lenovo Moto 360. Again, contrary to incorrect reports, the Moto G and Moto E lines are not being cut either and Motorola is not taking the high-end of the spectrum while Vibe takes the mid-range and entry-level. I wouldn’t get too excited for new product lines just yet though. Both the Moto and Vibe ranges will exist side-by-side, occasionally overlapping in some markets but with both lines covering the entire spectrum from budget to premium and maintaining their own identities and software experience. We’ll see the first Lenovo-branded Moto products at IFA this year – or perhaps a little earlier – where we’ll also get our first real look at what a consolidated Lenovorola lineup looks like, in terms of software, design, cross-overs and cameras. Like all other smartphone manufacturers right now though, Lenovo is facing a weakening mobile market, declining tablet demand and a tumultuous PC market, which may seriously affect its mainstay moneymaker. The Project Tango smartphone partnership with Google will ship in summer 2016 and we should see some major enterprise action coming on the server side. Lenovo’s aggressive restructuring and cost-cutting has put the company in a good position to weather the mobile storm. Its strong enterprise and PC divisions, solid growth in emerging mobile markets and within China and “front foot” approach to challenges paint a much more stable image than many other OEMs we have visited in this series. Beyond the financial base though, Lenovo looks to have made all the right decisions where the branding of the Moto and Vibe lines are concerned too. It may be too early to say yet, but we’re excited to see what Motorola has learned from Lenovo and what Motorola-designed Lenovo devices will look like. From circumstances that once seemed like a living hell, this may just turn out to be a match made in heaven. 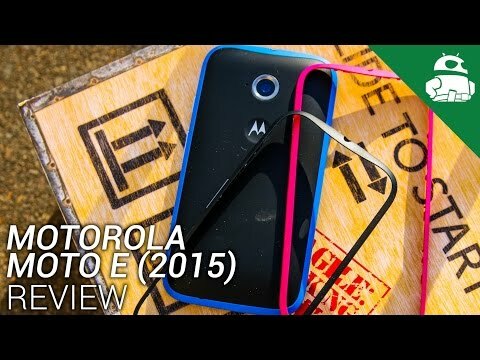 What do you expect from Motorola in 2016? What can each company learn from the other?